October 19, 2013, SCAND team participated in the annual meeting -Web Standards Days, which was held in Minsk in BSUIR. The main purpose of this event is to provide high – level education and share the experiences in the sphere of web development. 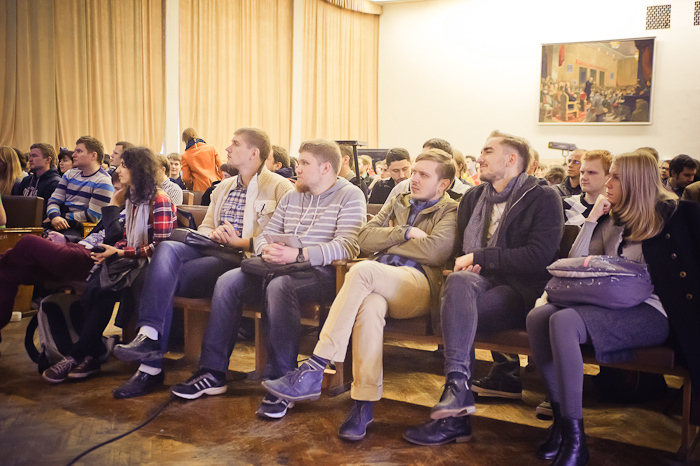 Within the meeting several reports were presented on the following topics: Web Audio API tremendous opportunities, workflow of the modern web designer, how to work with web graphics, print Yandex.Maps, etc. Our Lead Architect Alexey Sergeev mentioned that the most attractive report was “Rest in PSD: workflow of modern web designer”. According to his opinion, the reporter highlighted the modern approach to web design and undoubtedly provided helpful information for web developers.